Biophotonics is multifaceted and has significant potential for innovation. The industry will come together from June 24 to 27, 2019 in Munich for LASER World of PHOTONICS, the world’s leading trade fair with congress for photonics components, systems and applications. 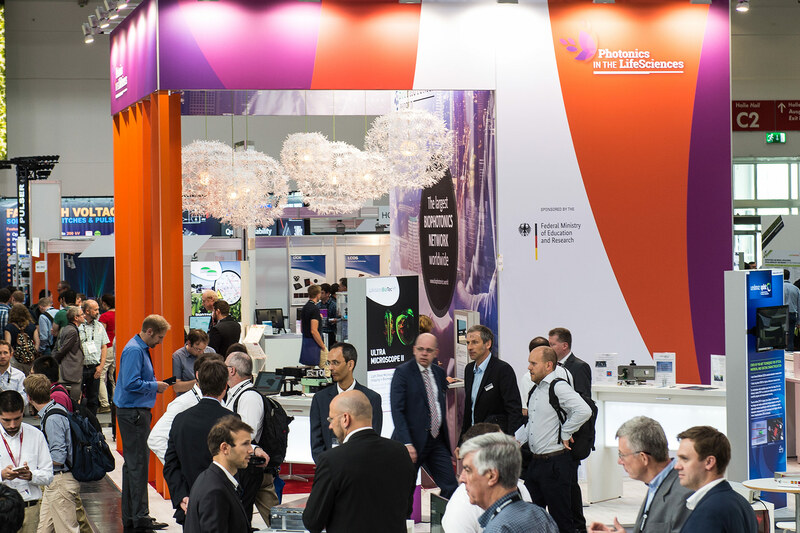 Half a year before the fair, more than 130 international exhibitors from all areas of biophotonics have already announced their attendance. Studies predict that the sector will achieve global sales of 85.5 billion Euros by 2020—with annual growth of seven percent. Each biophotonic application requires a specific combination of light wavelengths and optics—from lenses and fiber optics to optical filters. 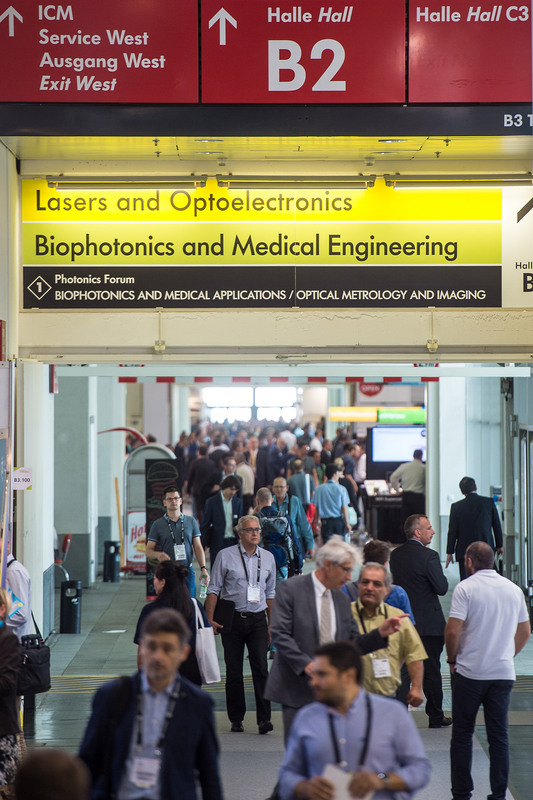 Manufacturers from all areas of this process chain will be represented at LASER World of PHOTONICS, including suppliers of adaptive and diffractive optics made of plastic, fused silica, sapphire or synthetic diamond. What’s more, miniaturized lenses and cameras for endoscopes and microscopes can be found in the Biophotonics and Medical Engineering exhibition area. And, of course, the manufacturers of laser beam sources and LEDs for highly efficient spectroscopy. Optical sensors are also important today for monitoring medical devices—including respirators, infusion pumps, computed tomography systems or video endoscopes. The application panels at the fair will pick up on trends such as virtual and augmented reality in clinical practice and medical education. Microscopy methods and the optical diagnosis of infectious diseases will also be discussed. Exhibitors like Carl Zeiss Meditec, Coherent Inc., Omicron-Laserage Laserprodukte as well as PCO and Newport Spectra-Physics will provide information about the latest trends in biophotonics and discuss new requirements in diagnostics and therapy with users. Run in parallel as part of the World of Photonics Congress, the 2019 edition of ECBO (European Conferences on Biomedical Optics) gives the opportunity for scientific discussion of current research trends such as microscopic imaging. What all imaging techniques have in common is that they lead to precise diagnostic findings using contactless, gentle methods. Ideally, patients no longer have to wait for laboratory tests if physicians perform microscopic and multispectral tissue analysis using state-of-the-art laser endoscopes—and remove diseased tissue immediately with minimal invasive intervention. Experts use the term “theranostics” when talking about such accelerated clinical processes and is where diagnostics and therapy are combined for the benefit of patients. Photonics makes this possible. The growing number of imaging methods is becoming a challenge for researchers and physicians. Complex procedures such as confocal laser endomicroscopy, Raman spectroscopy and fluorescence lifetime imaging provide images and data. Lasers and optical filters enable rapid analysis of cell types using flow cytometry (FACS). Biophotonics thus creates the basis for personalized medicine and serves as an enabler of new therapies. Physicians and researchers need software support here. The use of algorithms to automatically compare image streams with reference findings enables a new level of prevention. Patients could undergo a range of optical diagnostic procedures during one examination: such a comprehensive photonic body scan would detect dangerous diseases in phases, allowing a fatal course to still easily be averted. Biophotonics is already in use today for particular patient applications. For example, physicians use non-contact multi-spectral techniques to detect the level of skin damage to burn victims or monitor the blood work of new-born babies using non-invasive methods. Also, dentists and dental technicians use micro-spectrometers to ensure teeth and dentures have the exact same tone. Laser procedures also make it possible to perform precise allergy testing, identify skin cancer or remove acne and tattoos. Using lab-on-a-chip systems and Raman spectroscopic analysis, multi-resistant germs can be detected within hours instead of days as previously. Suppliers and users of biophotonics are jointly driving forward the advancement of life sciences. 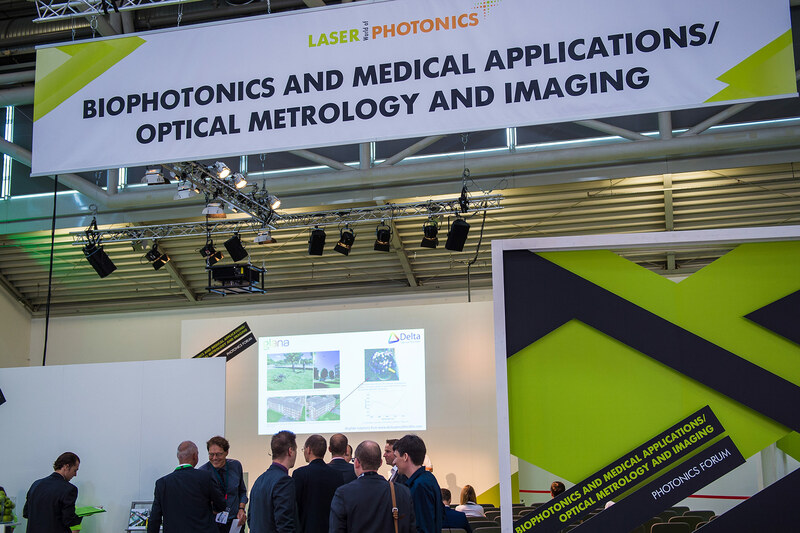 LASER World of PHOTONICS 2019 brings them together and provides an opportunity for discussion and innovative ideas.